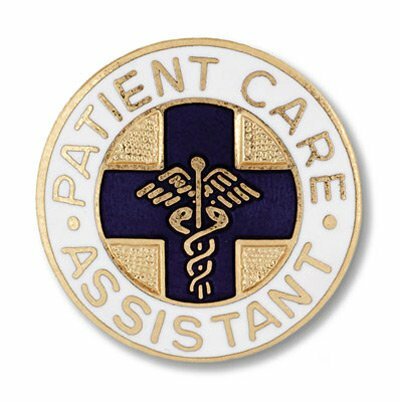 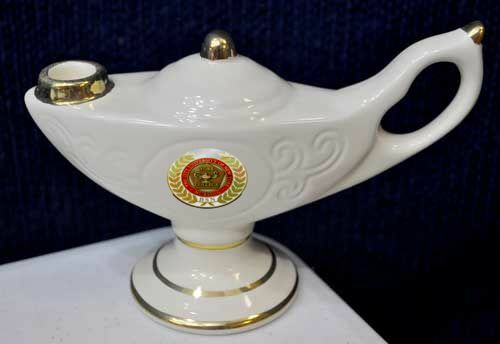 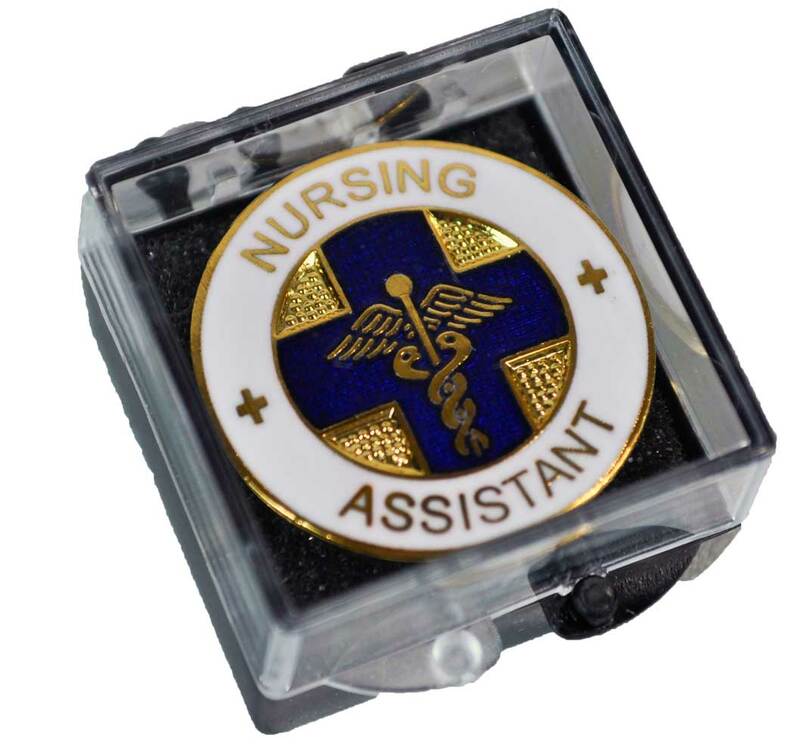 Our beautiful Nursing Assistant Pin is a high-quality Cloisonne pin at an affordable price for any new CNA. 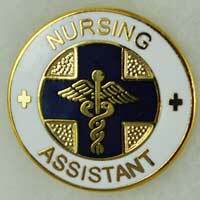 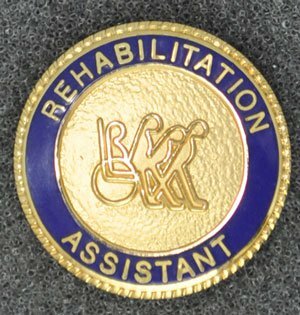 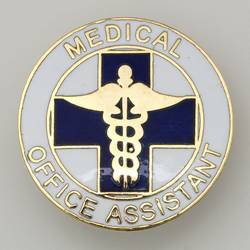 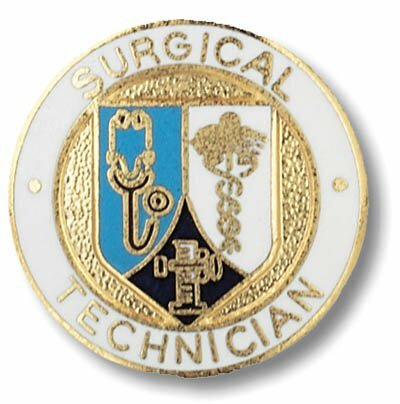 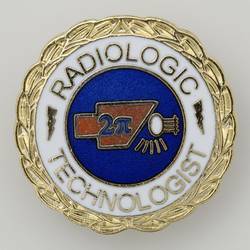 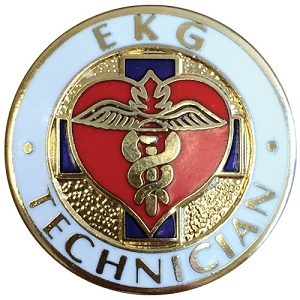 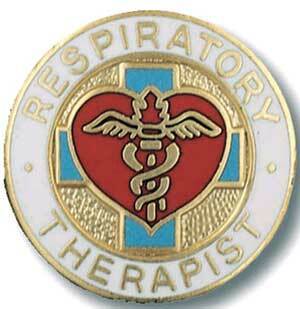 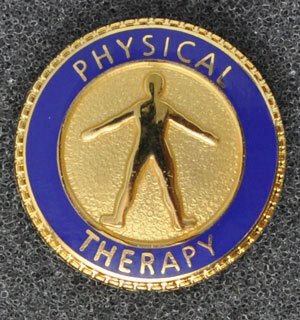 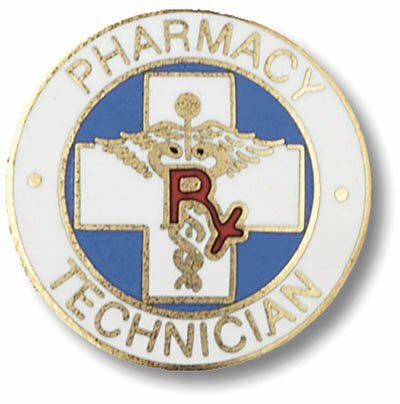 The pin is 1" in diameter with a gold edge and white outer ring and the words" NURSING ASSISTANT" in gold. 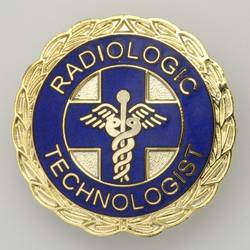 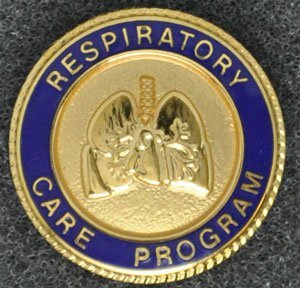 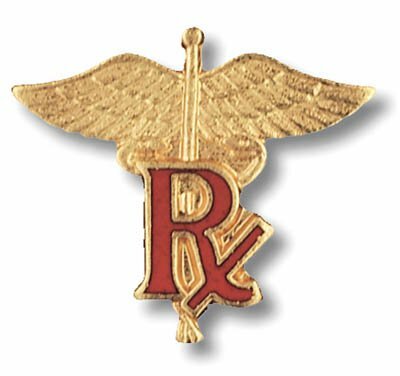 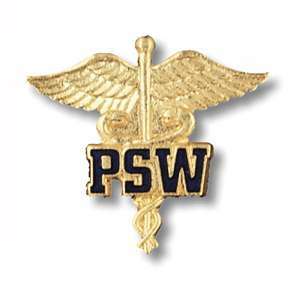 The center is the classic medical caduceus (Pronounced as "ca-DUCE-us") on a dark blue hospital cross above a gold textured field. 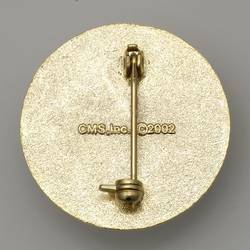 The backing uses a safety-pin style clasp.